Exercise Sentry Savannah 16-3 3rd Aug 2016. The Lockheed Martin F-16 Fighting Falcon, nicknamed the Viper, is one of the most prolific 4th generation fighter aircraft in the world with more than 4573 produced and counting. It was originally conceived in the early seventies as a light weight fighter for selected NATO allies as a replacement for their then ageing F-104 Starfighter interceptor and also as a supplement to the highly capable but prohibitively expensive F-15 Eagle for the US Air Force. First flight took place in 1974 and the first F-16A was delivered to the USAF in 1978. 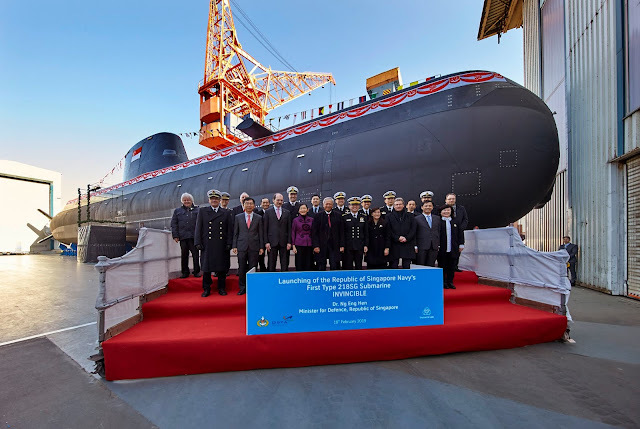 Since then, it has also equipped the air forces of many non-NATO countries like Israel, Iraq, Egypt, UAE, Pakistan, Thailand, Indonesia, Singapore, Taiwan and South Korea. Initially just an air superiority day fighter, the F-16 has over the years accumulated many game-changing enhancements and has evolved into the all-weather multi-role combat aircraft that it is today. With it acquisition costs had also escalated from an initial US$4.6 million for the F-16A Block 1 in 1978 to $60 million for the latest F-16V version today. After close to four decades of distinguished service, the F-16 is gradually becoming a weary warhorse. It is being superseded in many aspects by newer generation combat aircrafts like its successor the F-35 Lightning II Joint Strike Fighter and Russia's advanced Flankers like the Su-30 and the Su-35 and their Chinese clones. Lockheed Martin still has enough F-16 on its order books to keep its production lines open until 2017 but beyond that the future is less certain. The company's focus has obviously shifted towards achieving volume production of the F-35, currently still stuck in the Low Rate Initial Production ( LRIP ) phase. The latest development is Lockheed Martin's plan to move the entire F-16 production to India and its intention to develop the most super duper Fighting Falcon ever, the F-16 Block 70/72, exclusively for the Indian Air Force. Such a move will surely have global repercussions and strategic implications, and would probably mark the beginning of the end of the road for the Fighting Falcon. Who Is Still Buying The F-16? The USAF had long since stopped buying the F-16. All the available funds are currently channeled towards the procurement of the F-35A and Service Life Extension Program ( SLEP ) for the F-16 while awaiting sufficient numbers of the F-35 to fill the ranks. There are currently also not many other countries that are still keen to acquire new build F-16s. In fact, some of the earliest adopters of the F-16 like the Netherlands and Portugal had already divested or retired part of their Falcon fleet. Some of these surplus F-16s were sold to countries like Jordan, Romania and Chile while others were cannibalized for parts to keep the existing fleet going for a few more years. More notable F-16 sales in the past few years included the 36 F-16IQ sold to Iraq and the 30 F-16E/F Block 61 sold to the UAE. On the other hand, there were also cases where F-16 sales had been deliberately blocked by US law makers for a variety of reasons, like Taiwan's repeatedly stalled and now failed attempt to buy advanced F-16 versions since 2001. The most recent example is Pakistan's request for 8 Block 50/52+ F-16s ( two C and six D models ) which the State Department approved in Feb 2016. However the funding from the Foreign Military Financing program to the tune of some $430 million was denied to Pakistan because it allegedly provided a safe haven to terrorists and it's reluctance to target the Haqqani network who attacked US interests across the boarder in Afghanistan. The sale collapsed without the subsidy. Now, seemingly out of the blue, there is news that India will be offered the most advanced version of the F-16, perhaps as a contender for its long drawn, muddled and already cancelled medium multi-role combat aircraft ( MMRCA ) program which originally was supposed to provide the Indian Air Force ( IAF ) with 126 fighters to replace its Soviet era MiG-21 and MiG-23 fighters. These ancient aircrafts were in such a bad shape and crashes had occurred so frequently that the IAF's MiG-21 had been nicknamed the Widowmaker. Initiated in 2001 with the issuing of the Request for Information ( RFI ), the MMRCA program was about as old as the F-35 Joint Strike Fighter program. It was to be an open tender and about $8 billion had been sanctioned by the Indian government for the program. The program was plagued by bureaucracy and repeated delays from the word go and the Request for Proposal ( RFP ) was not released to the bidders until 2007. Then the deadline for the submission of Formal Proposals by the bidders had to be extended due to the complexity of the RFP. The six aircrafts that had been included for evaluation were the Dassault Rafale, the Eurofighter Typhoon, the Lockheed Martin F-16IN Block 60, the Boeing F/A-18E Super Hornet, the SAAB JAS-39 Gripen and the Mikoyan MiG-35. Flight evaluations began in late 2009 and were declared completed by late 2010. Only the Rafale and the Eurofighter made it to the final shortlist. Then there was the evaluation of industrial off-set offers, technology transfer value, and total cost based on purchase cost and life cycle cost which involved another bid by the finalists in late 2011, the year the MMRCA was originally supposed to have been fielded! Finally, the Rafale was declared the winner in Jan 2012 and there was the contract negotiations to be completed. The final value of the MMRCA deal for 126 aircraft was estimated to be between $20 to $25 billion, a huge increase from the $12 billion estimation in 2007. The original plan was for France to supply 18 aircrafts in flyaway condition and have the remaining 108 70% manufactured by Hindustan Aerospace Limited ( HAL ) in India. Contract signing was postponed in 2013 when India discovered it had no budget for the aircrafts due to the cost overruns and had to wait till the next fiscal year. Negotiations then stalled when neither Dassault nor HAL was willing to give guarantees about delivery timelines. A break through of sorts occurred during Indian Prime Minister Modi's visit to France in 2014 where he agreed to buy 36 Rafale fighter from France directly, in view of the long delays in the MMRCA program which made the acquisition very urgent. Despite the PM's directives, the final contract signing never materialized as Dassault was unwilling to provide quality guarantees of those Rafales to be produced by HAL, rightfully. By mid 2015, the MMRCA program was essentially dead, even when India had been offered the same price that the French Air Force had been getting for the Rafale, a 25% discount from the export price. 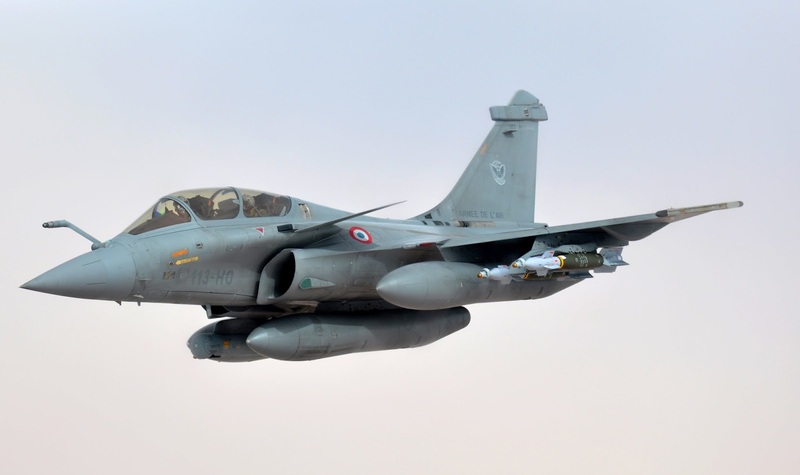 The Rafale which did not manage to secure a single export order before its selection by the IAF, was propelled from zero to hero and then back to zero again, save the subsequent sales to Egypt and Qatar. French Air Force Rafale B with external fuel tanks and precision munitions, Mali 2013. This is the latest offering to the Indian Air Force by Lockheed Martin with the latest AESA radar and the most advanced avionics and sensors including Infra-Red Search and Tract ( IRST ) and advanced targeting and navigation systems. Conformal Fuel Tanks ( CFT ) like those found on UAE's F-16E/F Block 61 Desert Falcons are likely part of the package. It is said to be THE ultimate Fighting Falcon, more advanced than anything before it, and developed exclusively for India. It is not the same aircraft as the F-16IN Super Viper offered during the MMRCA tender. 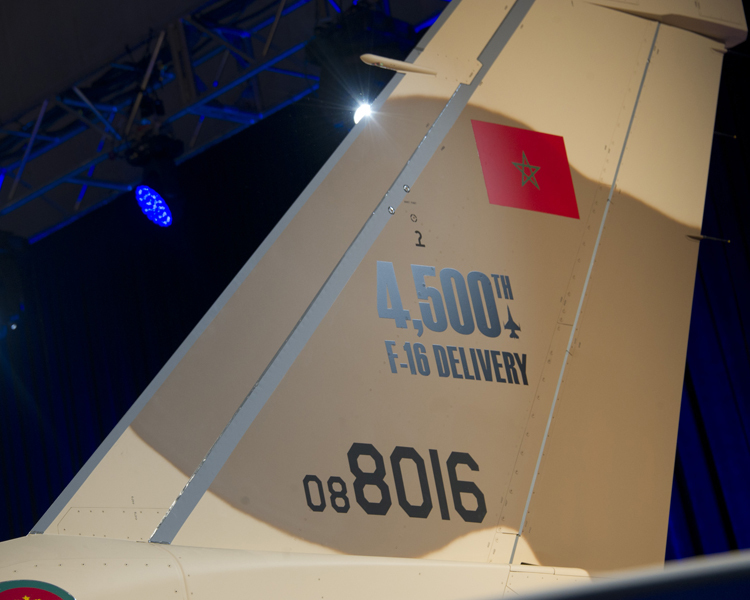 This will be the Mother of All F-16s. It is probably Lockheed Martin's last effort to squeeze more profits from an old product as sales plummet with its impending obsolescence, as the production line looked set to be permanently shut down should no more new orders be gathered in the very near future. With that aircraft offer came the promise to shift the entire F-16 production line from Fort Worth to India, essentially giving away the knowhow of F-16 construction and also providing India with the power to control future F-16 sales, if any. Pakistan would not be getting anymore new F-16s for sure if India had its way. F-16F Block 61 with Conformal Fuel Tanks. There had been five different production lines for the F-16 in as many countries over the years. The main US production line at Fort Worth, Texas, is the perennial facility that produced the first YF-16 prototype, the Full Scale Development aircrafts and close to 80% of all F-16s ever built, over 3500 airframes in all. It had changed its name twice over the production history of the F-16, from General Dynamics to Lockheed when the latter bought over the aviation division of the former, and then again to Lockheed Martin when Lockheed merged with Martin Marietta in 1995. It is the only F-16 production line that is currently still active, though not for much longer. Foreign production lines included Fokker which built the F-16 for the Netherlands and Norway, Sabca for Belgium and Denmark, Samsung for South Korea and TUSAS Aerospace Industries for Turkey and Egypt. All had completed and ceased production of the F-16. Some, like Fokker are no longer in business after going into receivership. Shifting All Future F-16 Production To India : A Lower Caste Falcon? The main problem with off-shoring F-16 production to India, or any other country apart from the United States for that matter, is the assurance of quality. Because India is not America. Workers are paid in Rupees, not Dollars, and a single rupee is equivalent to one and a half US cent. Compared with products made in other countries such as China, those made in the USA generally have superior quality and durability. Once upon a time not too long ago, when America and Europe were still the manufacturing hub for the world, things were made to last almost a lifetime, like refrigerators that worked for decades without any need for maintenance or repairs. However, let's not generalize but focus on the F-16 itself. That this compact aircraft is well constructed can be seen from the Fleet Report from F-16.net indicating that the active fleet's average service life is 22.44 years and probably growing as delays to its successor the F-35 meant that the service life of the F-16 had to be lengthened, with a small number of airframes having been in service for up to 37 years ( since 1979 )! But plenty of years in service may not mean much if the airframe was under-utilized to stretch its service life. Another parameter to consider would be the Equivalent Flight Hour ( EFH ). 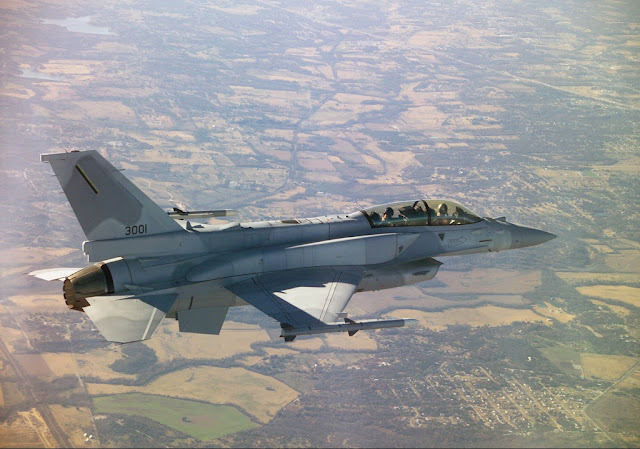 The F-16 Block 50 airframe had an EFH rating of 8000 hours and the aircraft would be forcefully retired from active service and perhaps put into storage after coming close to the certified EFH, say upon reaching the 7000th EFH. At least that's what happened in the United States. The latest from Fort Worth was that Lockheed Martin had completed more than 27000 hours of simulated flight time on an F-16 Block 50 aircraft at its Full Scale Durability Test Facility. The F-16C was tested to 27723 EFH during 32 rounds of comprehensive stress tests over a period of nearly two years. It was subjected to several maximum-load conditions to demonstrate that the airframe was still strong enough to operate within its full operational flight envelope. The aircraft is currently in the teardown inspection and fractography phase of the test program and the data collected will be used to ultimately support extending the F-16 service life certification to at least 12000 EFH or beyond and to assist in the design and verification of SLEP structural modifications for post-Block 40 F-16s. Susan Ouzts, vice president of Lockheed Martin’s F-16 program, claimed that the successful completion of the full-scale durability testing demonstrated that the F-16 was built to last and she truly had the right to brag, based on what we have seen so far. The question is, can the same better-than-specifications standards of quality and durability be expected for F-16s produced in India or should we lower our expectations? Would anybody other than India want a Made-in-India Falcon? The original is always the best and the gold standard to be benchmarked against! F-16 discharging flares at the Grand Bay Bombing and Gunnery Range, Moody AFB, GA.
Next, how would the shift of F-16 production to India affect the manufacturing costs? Logically, production costs should decrease with lower labour costs and land costs but that's assuming productivity remains the same whether in the US or in India. It would be a positive development if the unit cost of the latest F-16 versions could be brought down with the shift of production lines, making the Falcon just a little more competitive against a maturing F-35 whose unit price is also gradually improving. Otherwise, who would consider the F-16V at $60 million when the F-35A, a generation more advanced with stealth and sensor fusion, could be had for "just" $25 million more in two year's time? Then there is the question of availability. With the global active F-16 fleet still standing at almost 3000 aircrafts of all versions, would access to parts be a problem with the shift of production to India? What of Pakistan? India surely would not make it easy for its arch enemy to obtain supplies and parts for the maintenance of its F-16 fleet. Would India comply if ordered by the United States? What if the order books dried up after the production run for India's F-16 Block 70/72 and the entire line was shut down? Should that happen, even the USAF would have to depend on cannibalization of parts from old or retired airframes. The scariest part would be that the shut down could be a commercial decision that the US might not have much say since the manufacturing facilities was not located within its own territory. Finally, there remained a lot to be said about how the Indians conduct themselves in a commercial transaction. Just looking at the MMRCA program and one can already conclude that it is perhaps best not to bother with ANY Indian business propositions. Because you are just going to be driven up the wall by unreasonable and exasperating demands and in the end all your efforts would still be in vain as the deal would be cancelled one way or another. Unless, of course, if you are Russian. Somehow the Russians could promise the heavens and make the client commit themselves to a deal beyond the point of no return and then go in for the kill and jack up prices for a variety of reasons. China's failed Il-76 and Il-78 acquisition in 2005 at a too good to be true average price of $27 million per aircraft ( 38 aircrafts at $1.045 billion ) and the retrofitting of India's aircraft carrier INS Vikramaditya ( ex-Admiral Goshkov ) which was 4 years late and $1.2 billion over-budget are good examples. 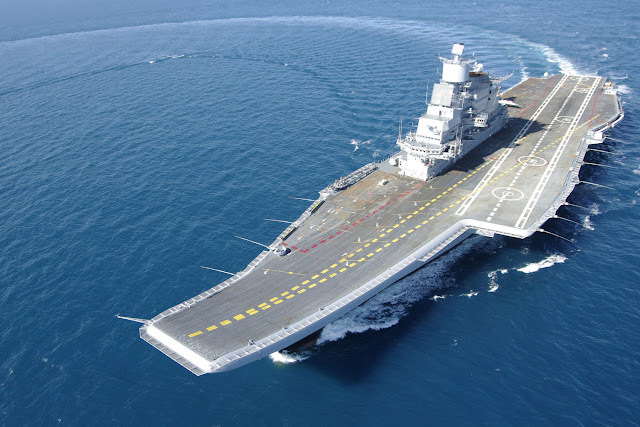 INS Vikramaditya ( Ex-Adm Goshkov ) during sea trails. Firstly, they always claim to be the biggest entity in their respective fields. When negotiating a deal, the prospective businessman would first attempt to make you believe that he or the organization that he represented is the BIGGEST player in the local market with the best distribution or dealership network or the biggest local influence. So he is the big fish you should be doing business with. He would then ask for quotations or proposals based on HUGE volumes, making the uninitiated believe that he had struck gold. Obviously, large volume discounts would already have been factored in when the quotation or tender price was submitted. Then, all sorts of reasons, mostly excuses, would be given or possibly fabricated to Par The Prices Down Even Further. The Indians do not seem to give a damn if you could make even a small profit out of the deal. They would drive the prices down so much until you make a loss. Indian business deals are a zero sum game, they win, at your expense, always. Sorry. Next comes the inevitable reduction in the purchase volume. The original commitment to the astounding number of units could not be honoured for various unforeseeable reasons. Much less would be sort after but still At The Same Volume Discount Price. It doesn't make business sense but they don't care. Even when the parties have reached an agreement on the final price, there might still be the unusual or unreasonable demands like industrial off-sets and technology transfers or bureaucratic hurdles to cross, failing which the entire deal might just be cancelled. Sometimes they are just terminated, no apparent reasons given. Had the deal gone through, you might soon discover that you really Earned Pretty Next To Nothing for all the frustrations you had to endure throughout the drawn out deal. To sum it up in a sentence, it's All Words But No / Very Little Action. Don't believe me? Just ask Francois Hollande who went through each phase that I had described for nothing in the end, or Singapore's ST Kinetics who was even accused of bribery in the Indian Army 155mm Howitzer tender, again with no deal ultimately. A Case Of Seller Beware? It might sound like a good idea, at least on paper, for Lockheed Martin to offer the most advanced and sophisticated F-16 ever to the Indian Air Force after their repeatedly stalled and now completely failed attempt to procure up to a total of 126 MRCA. After all, the F-16's days are numbered with dwindling sales and impending obsolescence. Why not make a last ditch effort to make more money out of it before the production line shuts down for good? Better still, free up resources to focus on the next generation product, the F-35, by having the manufacturing of the obsolete product done in the client's country where overheads are much lower. The F-16 production line then gets another few extra years of operations during which hopefully more orders might come in, all without burdening the Fort Worth facilities. For reasons mentioned above, the incredible level of red tape and bureaucracy partly inherited from colonial days and the fact that India is not the most business friendly nation on earth with the implementation of retrospective taxation and all, Lockheed Martin really have to tread carefully on this and do all the due diligence properly. Instead of the usual caveat emptor, we might have an opposite situation, that of seller beware. Otherwise there might be plenty of hand wringing and teeth gnashing to do in the near future.